As I mentioned in yesterday's post, we went to Lynchburg, Tn. 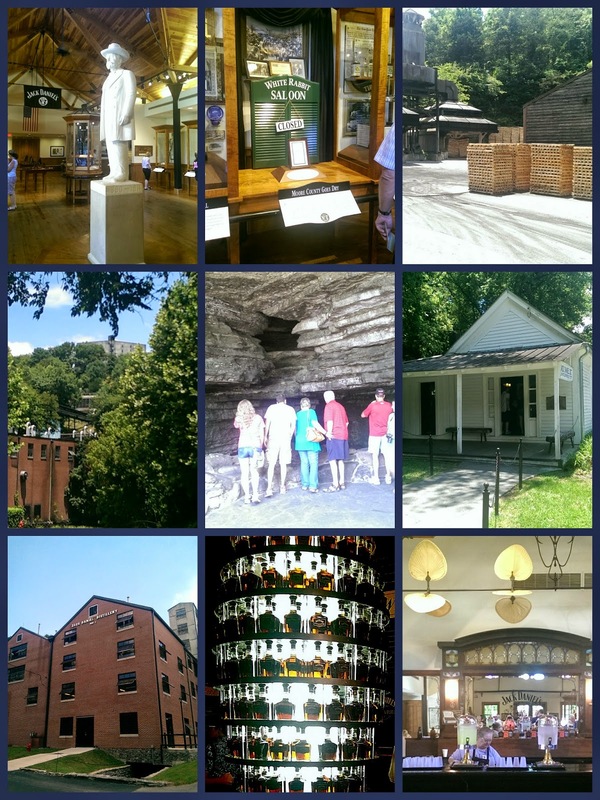 to tour the Jack Daniels Distillery last Thursday. If you ever get the chance to go, do it. Even if you're not a whiskey drinker, the back stories and the process is very interesting. Not to mention that the tour is free. You can take the "Sample Tour" for $10, which is what I think we need to do next time we go. One piece of interesting information: the county where the distillery is located is a dry county...you can't buy any alcohol there, and haven't been able to since prohibition. 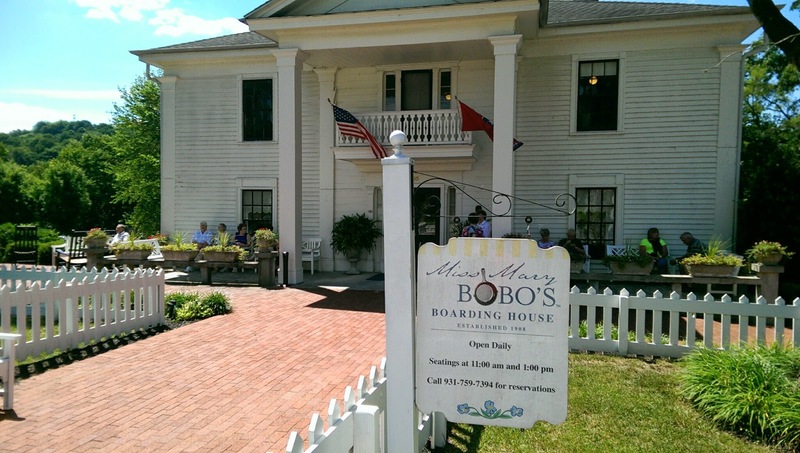 Before we took the tour, we had lunch at Miss Mary Bobo's Boarding House. This is a definite must when going to Lynchburg. 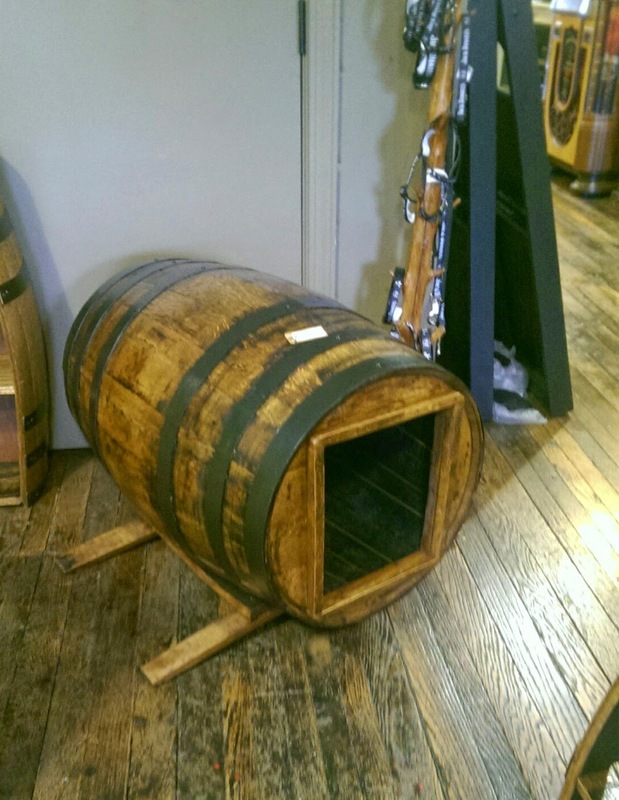 This is a very charming place to eat, and just happens to be part of the Jack Daniels chain; so, a couple of the things you eat have JD in them. Like the spiced apples which are out of this world! After you put your name in & pay, you wait for the dinner bell. Each dining room is called out, and you make your way to your room. There were 6 of us, so we had 4 other people at our table. Since we were there for the first seating of the day, our hostess sat down and ate with us. Most of the hostesses are retired teachers, but ours retired from the Deeds' Office at the Court House. The food is served "family style": our room had a lazy susan in the middle of it, so you helped yourself to what you wanted. The menu changes; we had fried chicken, meatloaf, fried okra, cucumber salad, potatoes, squash casserole, corn muffins, and spiced apples. For dessert, we had this amazing custard pie with whipped cream. The whipped cream was supposed to have JD in it, but somebody forgot to put it in there! The young people working there are doing so on a 2 year internship in return for tuition to a community college, as well as wages. Want to go? Make sure you call & make reservations or else you won't get in! 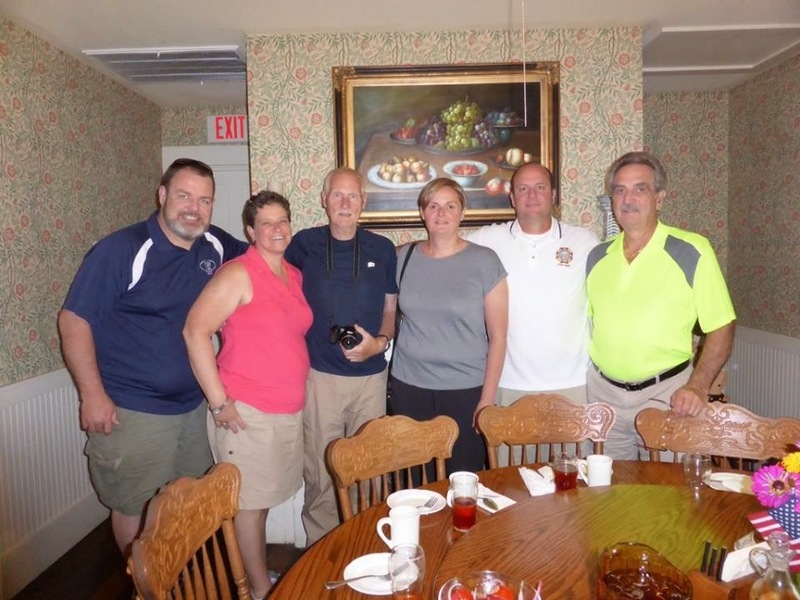 Our hostess regaled us with stories of the boarders. She also threw in that Little Richard lives in the area, although he hasn't been a visitor at the boarding house. She said that he has been spotted at McDonalds in a neighboring town; when he has visitors in, he takes them to Applebee's. She said that he came into the Deeds Office with all of his bling, sat down, and was the nicest person you could meet. 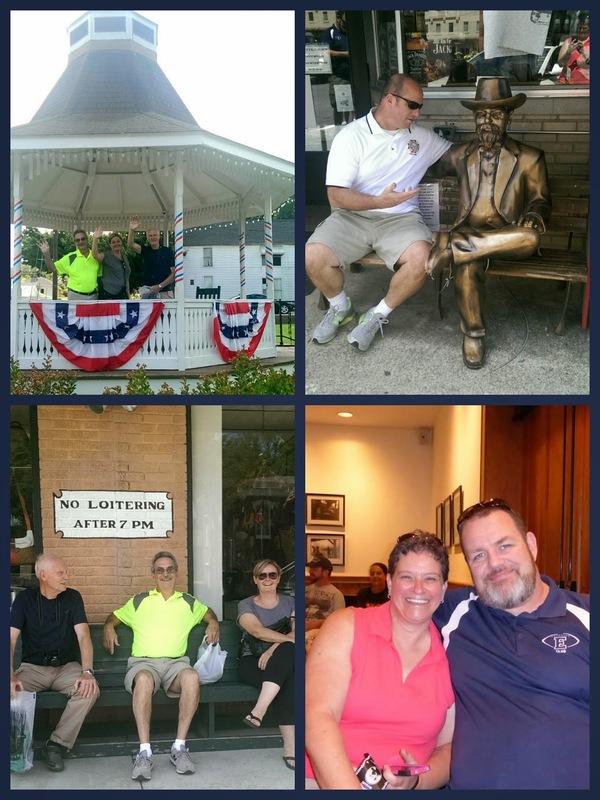 We took some time to wander around the cute little town square. And, it can be yours for roughly $250. We popped into a little store that had things made in Tennessee. They also had homemade candy...with a few things made with JD. My favorite was the chocolate made with Tennessee Fire Whiskey (kind of like Fireball). The owner takes orders, too! Click here for the information. 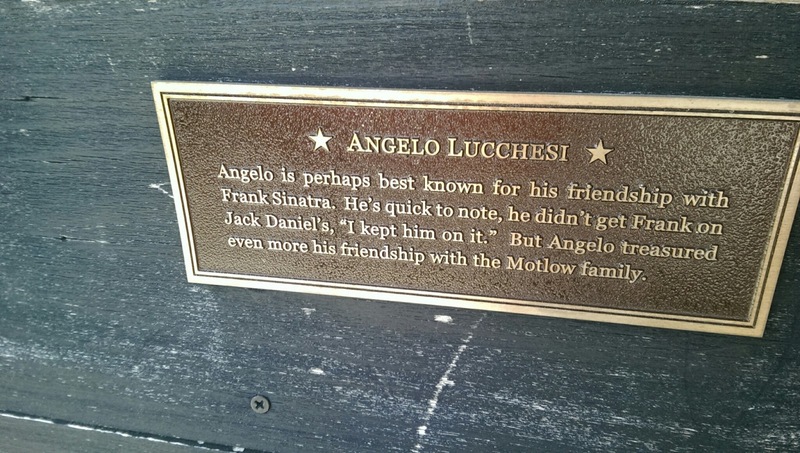 Some of the benches around the town square have metal plates with interesting facts about some of the people associated with JD (the man or the whiskey). The co-owner of the store we went in to (that had the amazing candy) told us about their Christmas celebration: they make a tree out of JD barrels and put lights on it. That has gone onto my list, for sure! Especially since there's a campground not too far away from there. Now I want to go to Lynchburg!! Love the video, and your photos are great. Thanks for taking us along! We used to drive not too far from Lynchburg when traveling to Hilton Head (now we drive through the mountains, passing through your neck of the woods). We often thought about stopping ... I didn't realize,that,there was so much to see and do. The next time we drive that route, I think we will! The tour was really nice when we did it several years ago. And lots of free lemonade in the welcome center. I wasn't a fan of any of the candy we tried though. Wow, this is something that I know my husband and I would enjoy doing. His drink of choice is JD. I definitely would like to eat at that restaurant too. Thanks for sharing your day with us! It sounds great! I would love to visit there someday and the food sounds so delicious. Putting this on my bucket list.